We’ve heard from a few folks recently asking how they can travel the Coquihalla safely during the winter. Apart from our usual recommendations for proper tires, checking DriveBC, keeping a full tank of gas and driving to conditions, we thought we could help travellers make better decisions around their travel by identifying some of the winter conditions found on the Coquihalla and explaining how they might impact travel. So, we asked our Weather Services Specialist, Simon Walker (who worked as an Avalanche Tech along the route for six years) to give us some insight. Here’s what he had to say. 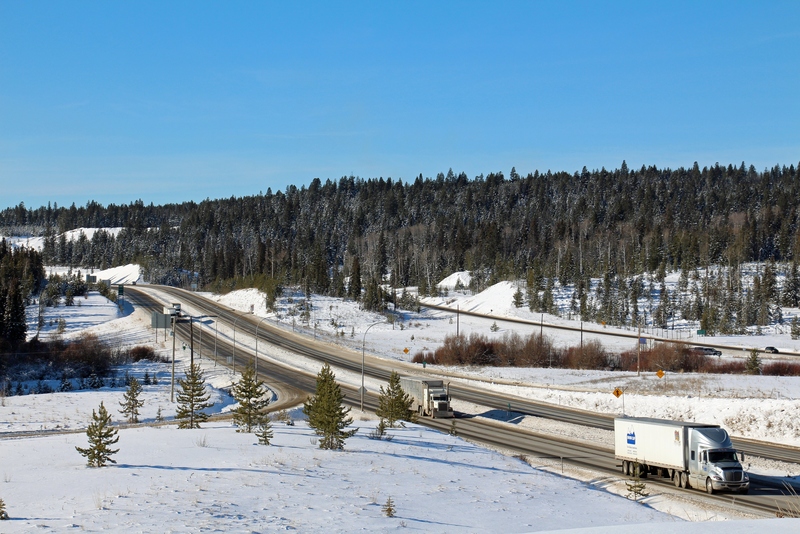 TranBC: What is the main thing you think people should know about weather on the Coquihalla during the winter? The main thing that people should understand about the Coq (and the same applies to all the other mountain passes in BC to greater or lesser extents) is that, in certain circumstances, snowfall intensity and accumulation rates can be extreme – sometimes exceeding 10 cm per hour. A great example of this type of intense accumulation occurred during February of 2014 when ten storm systems delivered a total of 294 cm of new snow over a period of 15 days! The traffic and road conditions resulting from this type of weather may be unpredictable – even with our maintenance crews out there throwing everything they’re got at it. Don’t let that worry you though – VSA Highway Maintenance, our maintenance contractor for the route, has a plan. It’s called “the Coquihalla Protocol” and it comes into effect when more than 15-20 cm of snowfall over a 12 hour period (or freezing rain conditions) are predicted and its sole purpose is to make sure we maintain safe and uninterrupted travel through the corridor during heavy snowfall or other challenging weather event. If an incident does occur and you are stuck in a queue, it’s important to note that there are many marked avalanche paths along the route; please stay in your vehicle, as you may be stopped under one of these paths. 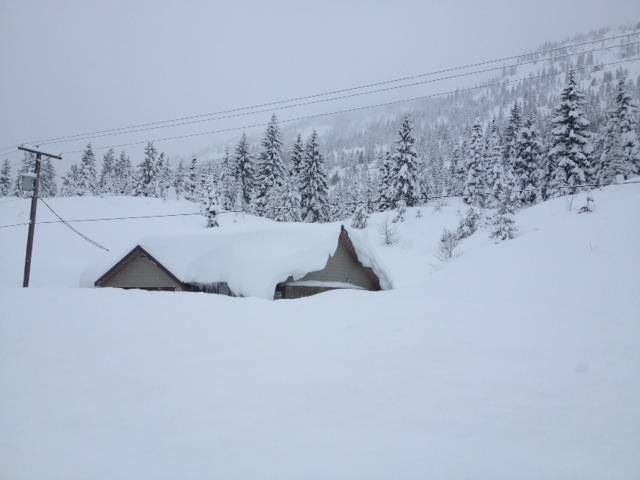 When closures do occur, ministry staff, our contractors and emergency responders will be working as quickly as possible to manage the queue and clear traffic from avalanche areas. Traffic control personnel will be on site during these weather events, and travellers need to follow their instructions. TranBC: So, drivers need to slow down, be patient and aware when conditions are like that. What other tips do you have to help them prepare for this kind of weather on the Coquihalla? 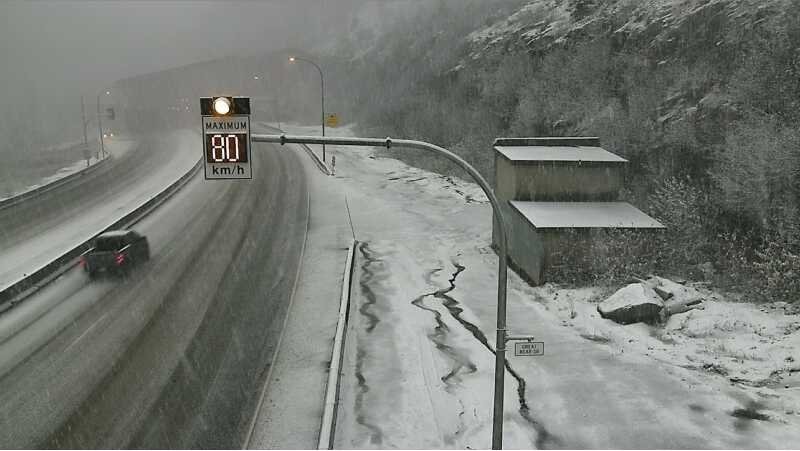 Simon: If you look at the web cams and road reports on DriveBC when you leave Vancouver, you should check in on conditions again before leaving Hope, since things can change very quickly in the winter months. Also be aware that there are alternate routes: Hwy 3 (Allison Pass) from Hope to Princeton, and Hwy 1 (Fraser Canyon). While both of these can have their moments of severe winter weather (and both are longer distances), they don’t get severe conditions nearly as often as the Coq. There are also plenty of web cams and road reports for these routes to help drivers make the best decision before leaving Hope for the Interior, or before leaving Merritt if headed west. You should also pay close attention to the Variable Speed Limit System in place along the route. These dynamic signs display the legal speed limit, which is updated as road and weather conditions change. Flashing lights installed above each variable speed limit sign are activated when a reduced speed limit is in effect. Our Roadside Weather Stations collect information on weather and pavement conditions from strategic locations, and this data allows our Highway Maintenance Contractors to monitor current road conditions and provide the best response to these ever changing conditions. TranBC: Any other insight, tips or advice you’d like to share? Simon: Freeze – thaw cycles are common during the winter and especially during the shoulder seasons. Take extra care when travelling in the late afternoon, early evening or when driving in and out of shaded sections of highway. Water and slush can quickly freeze solid then the sun stops shining on the road. Roads exposed to sun will thaw more quickly than those in shade and areas shaded by north facing slopes are where black ice typically forms. These are the washrooms at the Coquihalla Summit rest area where accumulated new snow can exceed 10 m in a winter, resulting in a snow pack that can be more than 3 m deep on the ground. That is a lot of snow. So there you have it from one of our own avalanche and weather experts. A last reminder: don’t forget to pack warm clothing, boots and gloves and keep them inside your car. That way, if you’re delayed for any reason, you can stay safe and warm inside your vehicle. Do you have a question about this or any other BC highway? Let us know in the comments below. Hello. I am planning to drive from Vancouver to Kelowna on February 21st, which is going to be my first time driving through BC interior during winter. I am honestly quite nervous about safety. My car have new all-weather tires and front wheels drive. I have so many questions: 1) Are we expecting frequent difficult conditions around this second half of February? 2) What are the early signs I should watch for (including on DriveBC and road cams) that could suggest it is better to not proceed? 3) I do not have tire chains, is it advisable that I buy chains for this trip? 4) All this considered, is the Coquihalla my best bet in terms of safety and reliability? Thank you so much! Our top pieces of advice are to take your time, check DriveBC.ca (both before you go and whenever possible on your trip) and carry chains in case you encounter severe winter weather. Be prepared to stop with warm clothes, food, water and a full tank of gas. The minimum winter tire requirement in BC is M+S with a tread depth of at least 3.5 mm. We recommend that drivers who travel snowy routes use winter rated tires (designated by the mountain and snowflake symbol). Carrying chains and knowing how to use them is recommended but using them is not required unless specifically instructed. Our maintenance contractors work around the clock to keep BC highways clear, but sometimes snow can be considerable and if you feel uncomfortable driving in snowy conditions, we encourage you to wait out a storm or consider an alternate route. Again DriveBC has a map feature that can help you identify weather and road condition events to help you plan your trip. Hope that this information is helpful. Let us know if you have any other questions! We have mud and snow on our Honda CRV (2018) with well over the 3.5MM tread required. If we buy chains can we use them on mud and snow tires or just if we have winter tires? You can use chains as additional traction devices on both M+S and mountain snowflake rated winter tires. Thanks for checking with us! I have used the web cams to plan my travels many times, not just for the Coq but also many other routes in the province. A 15 minute delay (maximum) gives a great insight to what lays ahead. I thank TranBC for all of their help over the years. One look at the cams and I cancelled a trip and was glad I did because by the time I had left Abbotsford and got to Hope, I would have been in one of those wicked storms you mentioned above. Thanks for your comment Bill. It makes our day to hear that the work we do here helps keep travellers safe! Hey Guys. I am planning on travelling from Vancouver to Calgary by car this weekend, Oct 21st weekend. What day would be the best day to leave. Time of day etc to travel. I want to do the trip in one day. I do not have winter tires, all seasons only. I am trying to get back to Ontario, but concerned about travelling through the mountains at this time of year. Sorry we missed your window for a useful reply. We only monitor these comments during business hours. Hope your trip went well! We are sorry to hear your frustration. While our webcams are not live, they refresh their image every 2-15 minutes, depending on their location and access to power. Static images which refresh on a regular basis, still provide a good perspective of conditions to travellers before they head out and we encourage motorists to check conditions regularly to see if they have changed, in order to make alternate route plans, should they need to. Hope that this helps!